Jody Vassallo is an Ayurvedic health, award winning cookbook author and yoga teacher. She has spent the last 25 years of her life sharing the message of health with the world through her recipes, cooking classes and wellness workshops. 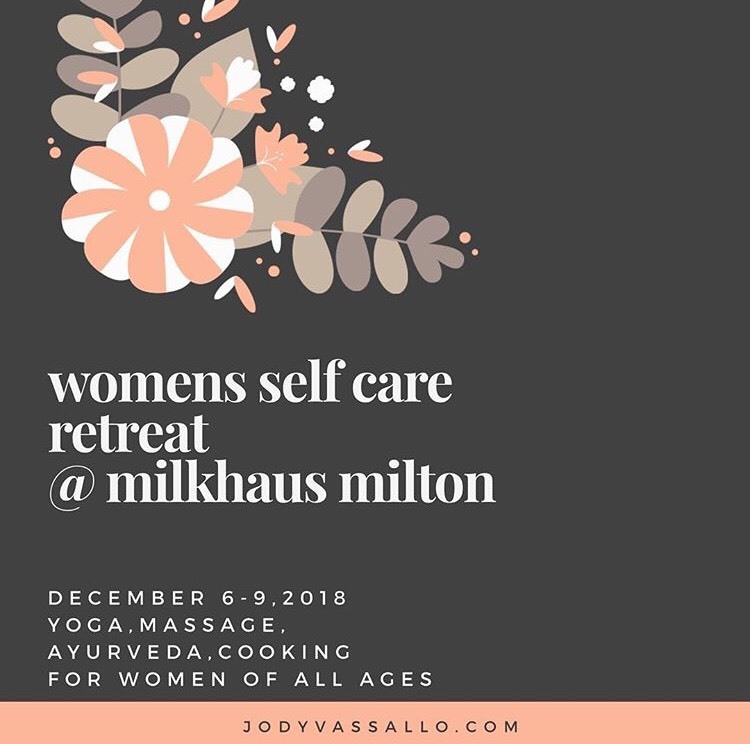 Jody is passionate about womens health and has created this unique retreat to help women understand the importance of self care, stillness and turning inward. You don’t have to be into yoga or obsessed with green smoothies and trendy health food trends to attend this retreat. This will be an intimate gathering of women coming together to focus of their wellbeing in simple, gentle, sustainable ways. If you feel you have given to the point you are feeling depleted exhausted and overwhelmed then I invite you to join us. Dairy Fields is the beautiful 1930’s country home situated on the grounds of Milk Haus Wholefood Canteen. Overlooking the Milk Haus market garden and neighbouring dairy farm, this Eco- friendly property is the perfect spot to take a deep breath and slow down.